When it comes to designing a living space, even the most minimal interiors can be made a little more cozy with a few simple updates. Low lighting isn’t the only way to add an air of warmth to your living space. These design tricks will take your living room from polished and proper to cozy and chic! For a quick pop of warm color, invest in an armchair that makes a statement. Whether it’s a design in a warm color or rich hue of leather, a chair handpicked with intent is sure to make your living space look a bit more inviting. Succulents, hanging plants and vases varying in size work together to create a lush layered look in any living space. 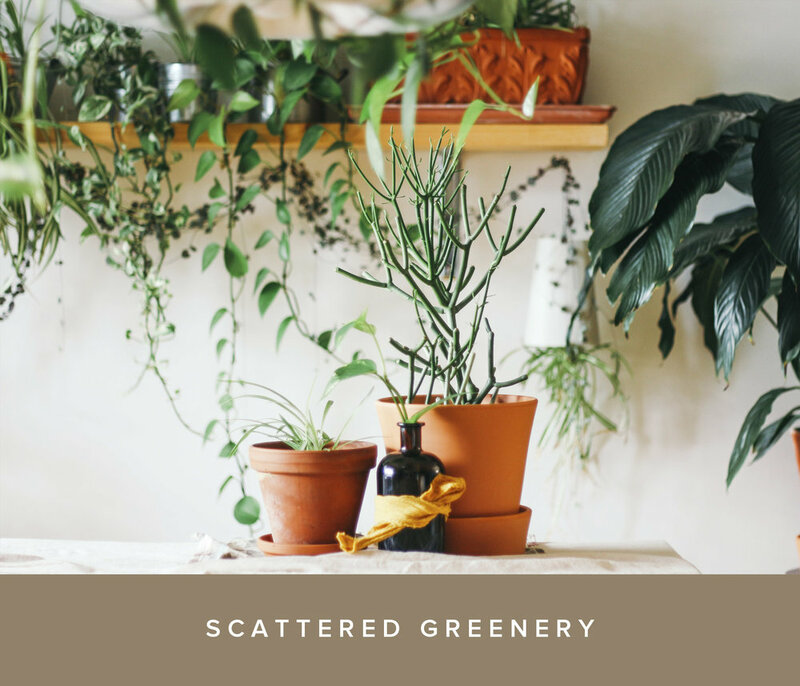 Pops of green will bring a little life into your home and make it feel more relaxed. When used in the wrong space, dark colors can make a room feel much smaller than it really is. If used with intent, dark colors can transform a living room from feeling stark and sterile to intricate and inviting. Say goodbye to plain walls and hello to the easiest way to spruce up your living space! Wallpaper doesn’t have to be tacky — Opt for patterns consisting of thin lines and neutral colors for some subtle visual interest in the living room. Immediately make your living area feel more comfortable with a surplus of fluffy pillows and throw blankets! Avoid a frumpy look by investing in pillows with quality fabrics and perfectly positioning throws for the classic lived-in but polished look. If you aren’t afraid of experimentation, bring a little drama into your living space by adding over-the-top embellishments. Accent mirrors with thick frames, statement art pieces and vintage light fixtures will do the trick! You can’t forget the warm glow of candles when decorating with the intention of keeping things cozy. Candles in varied sizes and scents that compliment each other are the best option. Place your candle arrangements on side tables or a dish on the coffee table for a styled look. In terms of textiles, you can’t go wrong with layering a hide on top of a woven jute rug. The natural fibers of a jute rug will make your living room design feel homey while a hide will add a more stylized touch and add visual interest in the room. Take a look at a few of our favorite lavish living spaces and cozy fireplaces in Austin for a little more design inspiration or browse our tips on how to organize your living room for a little more structure in your home.